The mosque was built for Sinan Aga who was the bailee for the building of Fatih Mosque. His tomb resides in front of the mosque’s mihrab. From the mosque which is a work of Fatih Sultan Mehmet period, only a piece of the tomb, the Madrasa of Damat Mehmet Efendi and the ruins of its Turkish bath survived. The exact date of original building is not known. In the year 1994, Residents of the area asked for the re-building of this mosque when it was determined that there was once a mosque in this area. 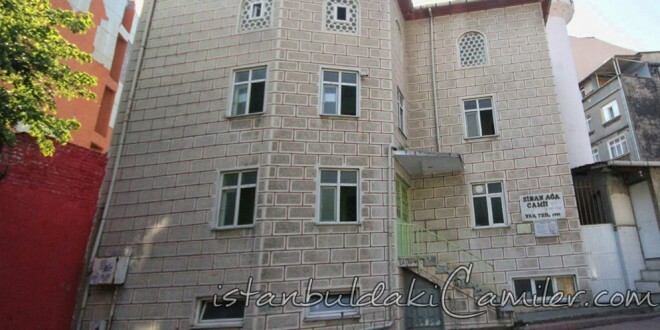 Upon the authorization taken from the Foundations, the building of the mosque in concrete started in the year 1995. It was completed in July, 1995 and J commenced serving the believers in August, 1995. There is no single historic peculiarity or historic properties that belong to this mosque.